Hi! My name is Stephen and thanks for dropping by my site. Investing vs trading : Which is better? A simple market timing strategy that works! 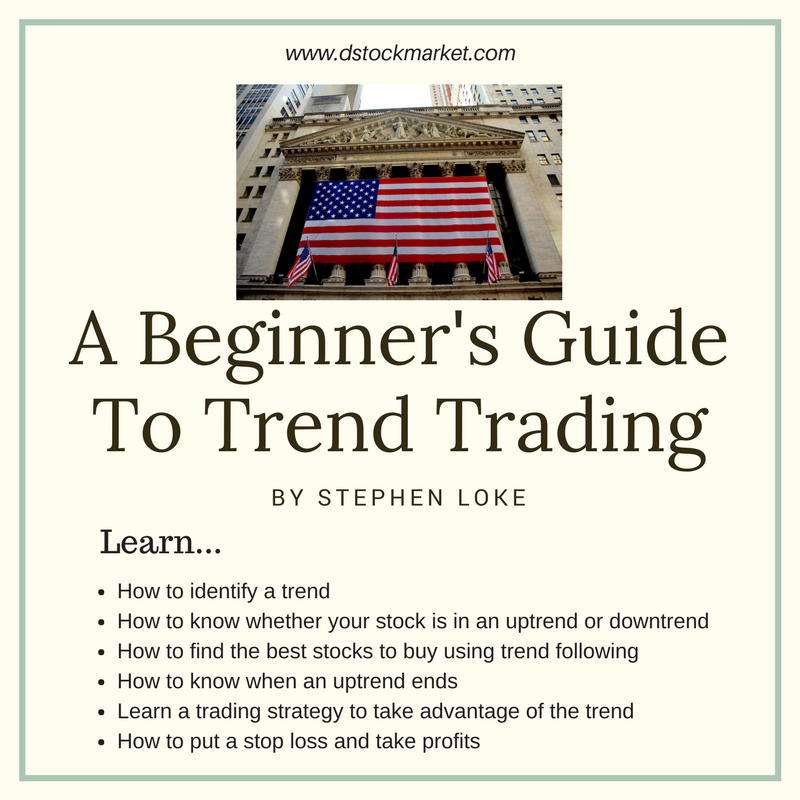 What Is A Stock Breakout? What Is A Pull Back In Stock? If you have read all of these up to Level 12 then you are already capable of trading. The others below are supplements like vitamins to help you with the technical knowledge. How Many Swing Trades Should You Make A Week? Are You A Jack Of All Trades Master Of None? 7 Amazing Reasons Why Dow Jones Industrial Average Will Double To 50,000! This is where after all the learning... we put all the knowledge together..case studies, case studies plus...so you can understand how all these technical things work out. Why Dow Jones Rose From 22400 To 24000 In Just 2 Months! I write a stock market analysis and this is what I have done for readers of this website. We have also caught the recent massive explosive bull run in the US Stock Market where Dow Jones shot up from 24800 to 26500 in less than 1 month! All of our analysis are documentated and archived in the US Stock Market Analysis page where you can check the accuracy of our analysis. Our track record speaks for itself in helping members get the best from their trades and investments. Then this new guide is for you. Did you know that 75% of all stocks follow the direction of the S&P 500, Nasdaq Composite and the Dow Jones Industrial Average? That's because these 3 indexes are a gauge of the US economy. The US Economy is the largest in the world and that's why these 3 major indexes will influence the other markets in the world. I really love to analyze the market. Perhaps more than trading it because they tell such a nice story that is just like any other story in the cinema. I use time tested technical analysis principles which are true today as it is 100 years ago. They are unbiased (at least based on what market are telling us) and I strive to make a 75% correct analysis. Nobody can be correct all the time. The quote by Benjamin Franklin still holds true today. In the world of investment, trading and the stock market, failure to gain education will mean losing a lot of money. Having been a student of the market for 10 years, I have gleaned and gained many stock market lessons. These are lessons and education that are not easily acquired. It is my hope that future participants of the market will gain from my failures and knowledge and experience. I have slowly started to list more and more stuff on the stock market course as I discover more and more things about the markets. I think the best way to analyze the stock market is just by looking at stock charts. Just notice how and why it behaves in a certain way and then see if the thing repeats itself again in the future. 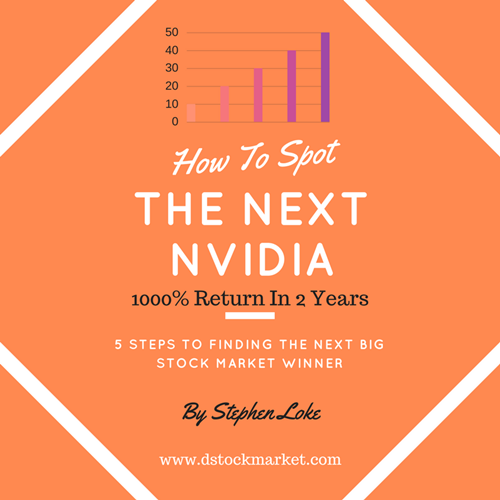 The best way to be able to spot future big winners in the stock market is to study the past. The good thing about stocks is that there are patterns that repeat again and again over time. Therefore, if we want to spot future winners, just study the big winners in the past. 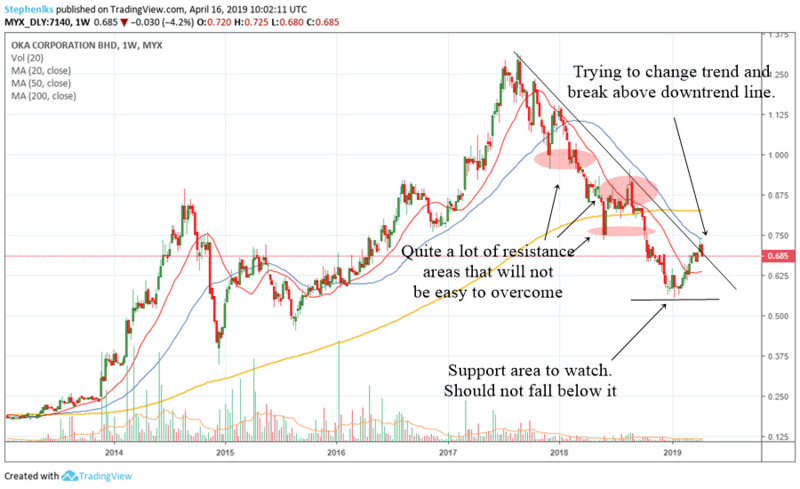 On this site, you will find hundreds of stock charts that show how a winner set up and look like before a big move happen. 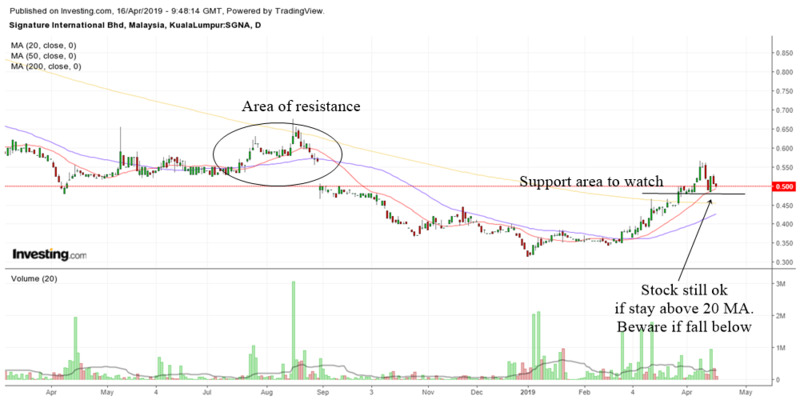 Technical analysis of the Malaysian stock market from 15 April to 19 April 2019. What is happening to the Malaysian markets. Learn to spot important clues in the market. Have you ever wondered what separates the winners from the losers in the stock market? The answer may not be entirely intelligence but an age old concept called risk to reward. 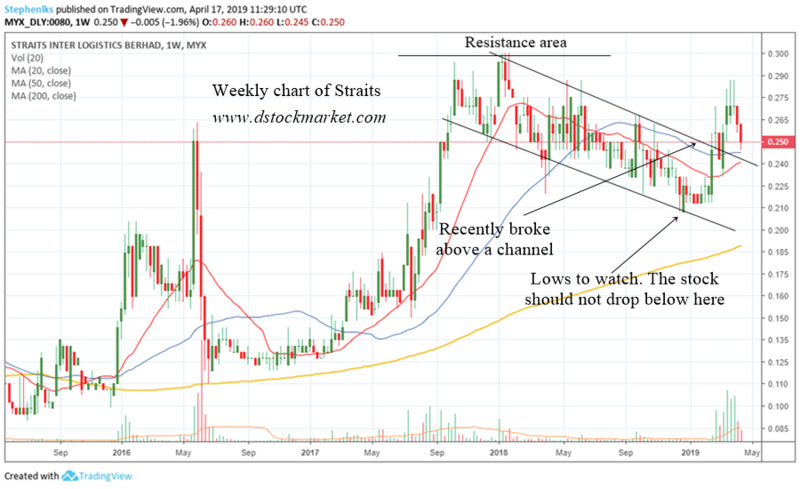 A technical analysis of OKA Corporation's stock chart. 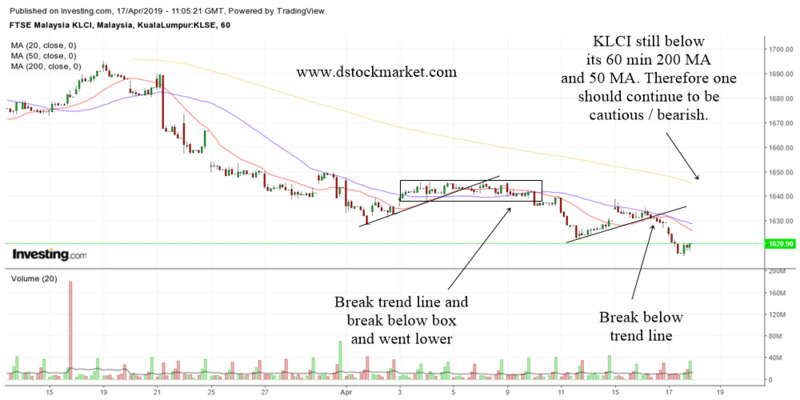 Is the stock in an uptrend or downtrend and what should you do about it. A technical view of Signature International.